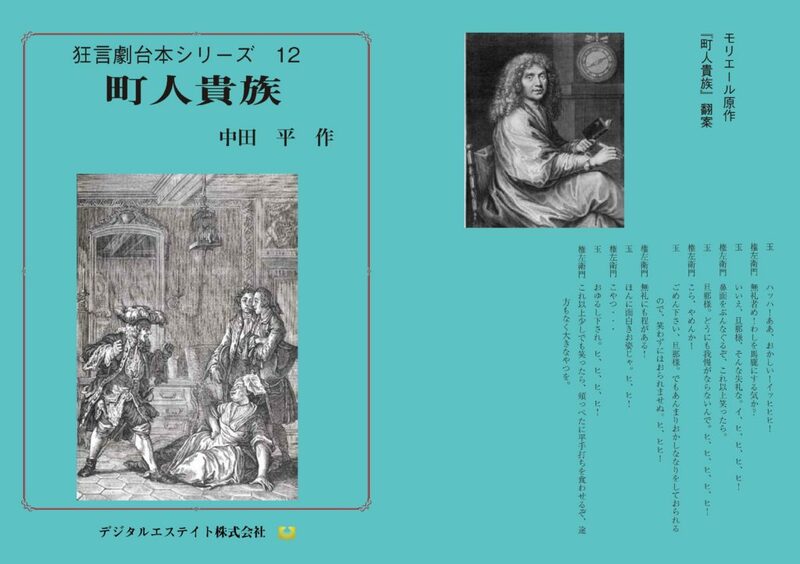 Kôgen 12 The Would-Be Noble | Digitalestate Inc.
“The Would-Be Noble” is the adaptation of the comic play “Le Bourgeois Gentilhomme“ by Molière, French actor, playwright and theatrical organizer in the 17th century to revive it as a piece of Kyôgen, traditional Japanese art. Gonzaemon is a rising merchant but dreams of becoming a nobleman. The dialogue opens with the shamisen teacher and dancing master. The two masters teach music to Gonzaemon. A martial arts teacher arrives and three masters start fiercely fighting about their respective specialties. Teacher of philosophy goes into arbitration frankly, but he is beaten up on the contrary. Gonzaemon is logic, morality gives up and begins practicing pronunciation. He makes a tailor make aristocratic clothes, and pays court to the wife of a nobleman. His wife is angry with him. This is because the marriage between Ayame, his daughter and Ayuunosuke does not continue. Gonzaemon will he be able to be a nobleman superbly who wants to be a nobleman?